When will be Alvin & the Chipmunks next episode air date? Is Alvin & the Chipmunks renewed or cancelled? Where to countdown Alvin & the Chipmunks air dates? Is Alvin & the Chipmunks worth watching? Alvin and the Chipmunks was premired on NBC in 1983. Brothers Alvin, Simon, and Theodore, are in a band together and live together with their dad Dave. There mother left them on Dave's doorstep as babies. Alvin is a spunky chipmunk, who is the oldest brother. He is the lead singer of the band. Simon is very smart and is the smartest of the three. Theodore is the sweet, shy, fun-loving and youngest of the three. He loves to eat and is the nicest of all three. Alvin, Simon, and Theodore were not the only chipmunks in the series. The series also involved The Chipettes who were a girl band. 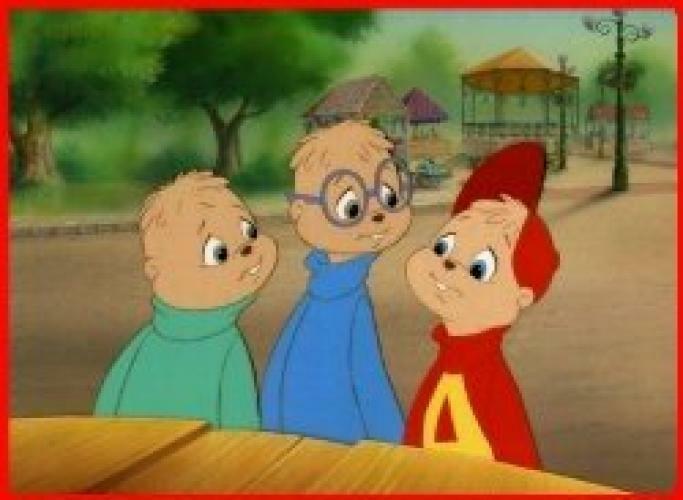 Alvin and The Chipmunks was a reprise of the 1961 series The Alvin Show. The Alvin show last 1961 - 1962. NBC showed intrest of Alvin after The Alvin Show in ths '70s and made a new Chipmunks album. The album did well, so NBC created a Christmas Special which lead to the creation of the series, Alvin and the Chipmunks. During the run of the series a Feture-Length theatrical movie was released titled The Chipmunk Adventure(1987 - Rated G) The series ended in 1991. In 1999 the Direct-to-Video move Alvin and The Chipmunks Meet Frankenstien, the following year Alvin and the Chipmunks meet The Wolfman appeared. "Watch out...cause here we come! EpisoDate.com is your TV show guide to Countdown Alvin & the Chipmunks Episode Air Dates and to stay in touch with Alvin & the Chipmunks next episode Air Date and your others favorite TV Shows. Add the shows you like to a "Watchlist" and let the site take it from there.